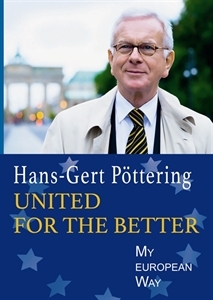 Hans-Gert Pöttering, now the chairman of the Konrad Adenauer Foundation (KAS), was a German Christian Democrat member of the European Parliament from 1979-2014, leading the centre-right EPP-ED group from 1999-2007 and serving as Parliament’s president in 2007-2009. His autobiography is both a personal story and a narrative of Europe’s journey out of the chaos and hatred of World War II and the post-war division between East and West. The author never knew his father, who was killed in the last stages of the war and, as he writes, “it was the death of my father that motivated my European life”. The greatest political influence in his formative years was Konrad Adenauer, the first chancellor of the new Federal Republic of Germany and one of the “founding fathers” of what is now the European Union: “this new concept for the future of Europe captivated me from early in my life”. A widely popular and determined leader in the European Parliament, the author is a staunch defender of the institutions created to give the “Community method” expression – for, as he writes, quoting Jean Monnet, “nothing is possible without men, but nothing is lasting without institutions”. At this point of danger of European fragmentation, United for the Better is a timely reminder of all that has been achieved and the perils of forgetting our common history.